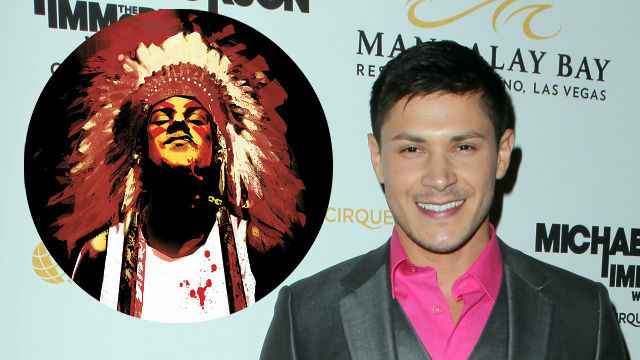 Deadline reports that the upcoming Scalped TV series has found its leading man in actor Alex Meraz, who will play the role of Dashiell Bad Horse in the upcoming comic book adaptation for WGN America. Based on the comics by Jason Aaron and R.M. Guéra, the series is an intense crime drama that mixes organized crime with current Native American culture. Fifteen years ago, Dashiell “Dash” Bad Horse ran away from a life of abject poverty and utter hopelessness on the Prairie Rose Indian Reservation searching for something better. Now he’s come back home armed with nothing but a set of nunchucks, a hell-bent-for-leather attitude and one dark secret, to find nothing much has changed on “The Rez” — short of a glimmering new casino, and a once-proud people overcome by drugs and organized crime. Is he here to set things right or just get a piece of the action? Meraz previously appeared in another comic book adaptation, last year’s Suicide Squad, with additional appearances in Bone Tomahawk and The Twilight Saga. He joins Lily Gladstone in the cast, who is set to play Carol Red Crow, the estranged daughter of Chief Lincoln Red Crow and an old friend of Dash’s, who reunites with him after he returns to the reservation. Doug Jung (Big Love, Star Trek Beyond) has penned the script for the pilot episode, which has the directing team of Bilall Fallah and Adil El Arbi (Black) set to helm.